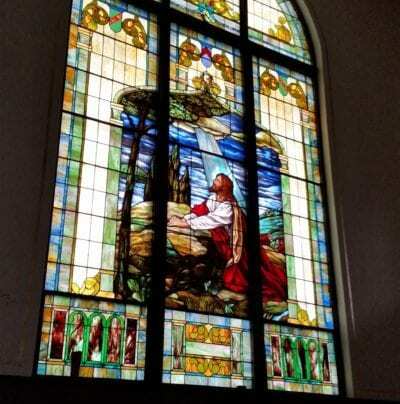 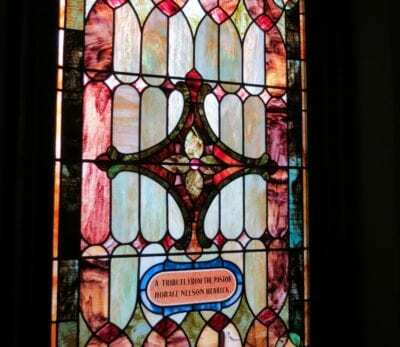 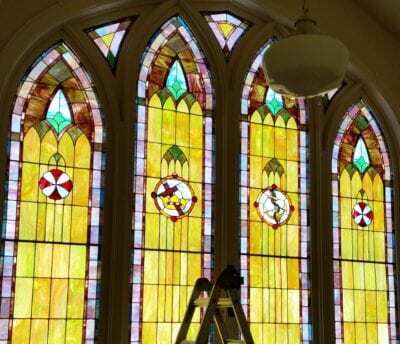 Founded in 2014, McCully Art Glass and Restorations provides expert stained glass window repair and restorations for churches, homes, and businesses in North Central Indiana and beyond. 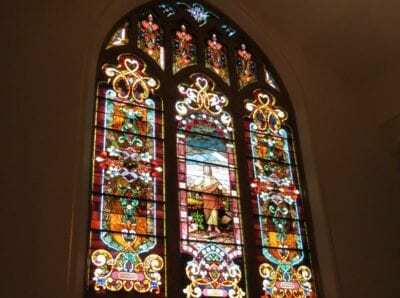 Stained glass windows are some of the most beautiful and historic art pieces around, and we are dedicated to preserving their beauty! 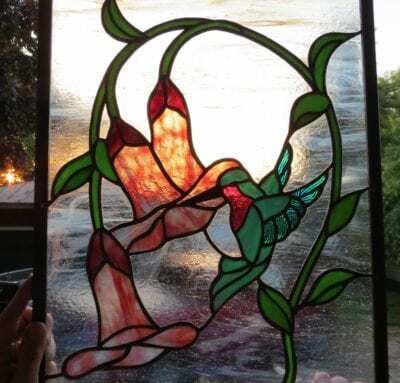 We can restore vintage stained glass windows, panels, and other window art for your local church, or create custom designed stained glass windows, French doors, entry doors, lamps, and side light panels for your home or business. 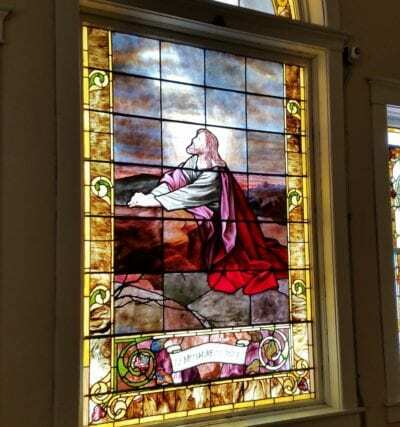  Whether you want vibrant roses twining over your door or a religious scene casting colorful light on the floor of your church, we can create custom designs that will make your home, business, or church glow with beauty and color. 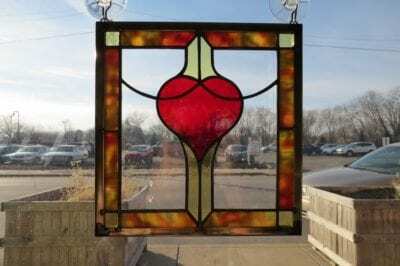 With over 25 years of experience, our skilled artisans can also work with Tiffany style lamps, antiques, and other pieces of vintage furniture containing stained or leaded glass. 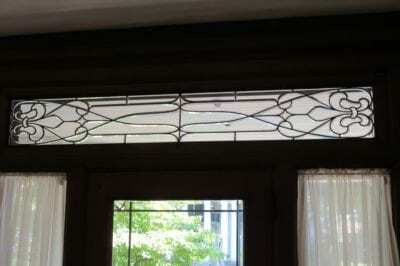 Plus, we can also clean and/or personalize glass or metal surfaces with sandblasting! 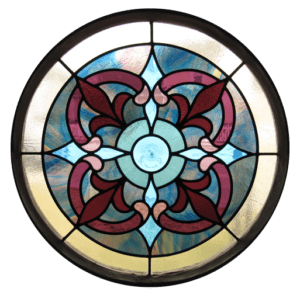 If the stained glass windows in your home, business, or church are broken, sagging, or dirty, we can restore them to their original beauty. 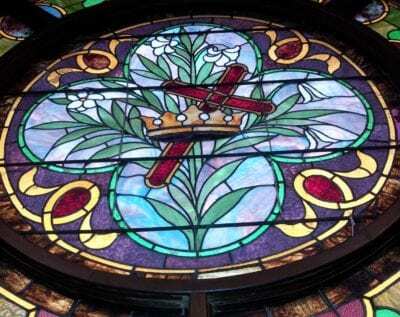 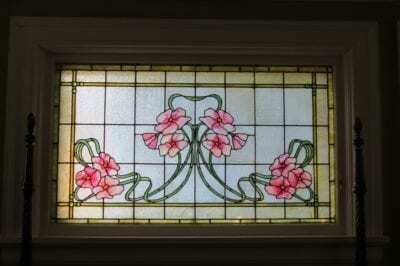 We are dedicated to providing quality custom stained glass services for our customers in North Central Indiana. 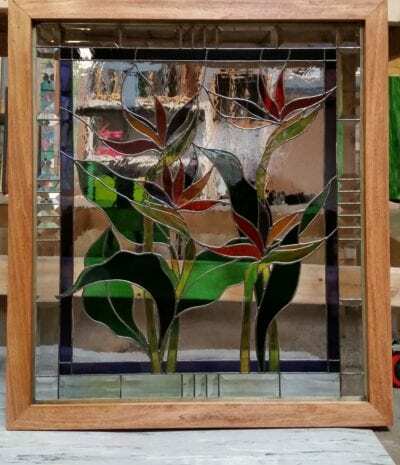 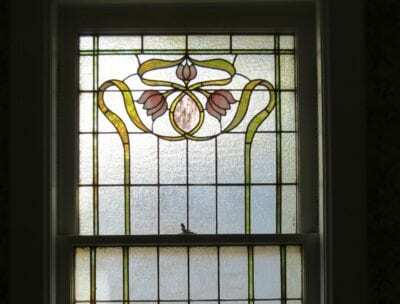 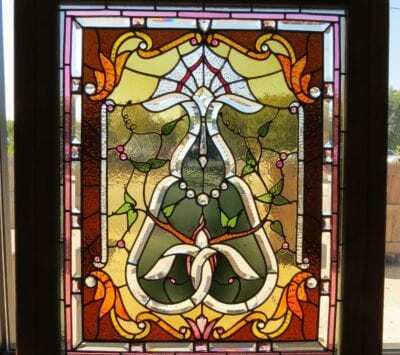 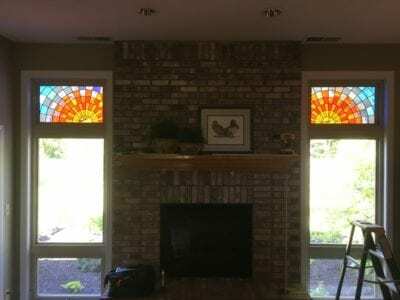 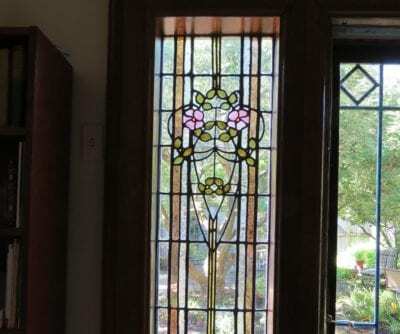 From stained glass window repair and restoration to sandblasting, building salvage, and glass etching, we can make the stained glass and leaded glass pieces in your home, church, or business truly shine. 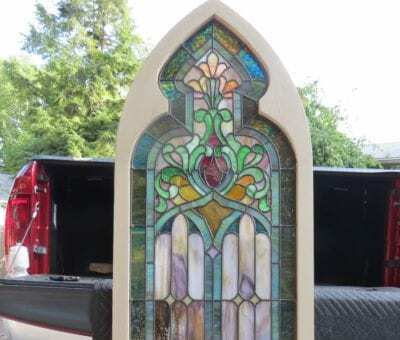 All pieces are handled with dedication and care so you can be sure your stained glass pieces are preserved and kept beautiful for years to come. 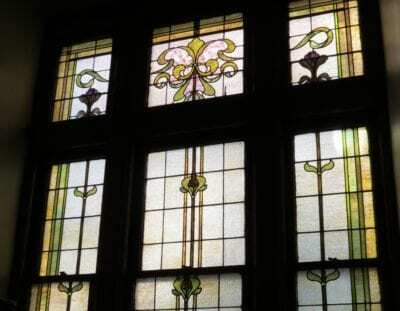 We can do both onsite and offsite leaded glass repairs and restorations depending on the state of the glass. 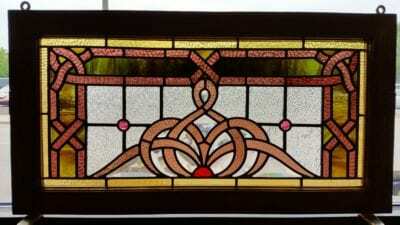 Most small glass breakage repairs can be done onsite with the window in place. 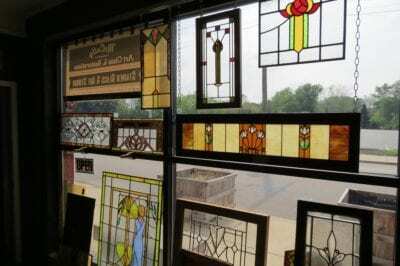 In some cases, however, the amount of repair work requires the windows to be removed and brought back to our shop. 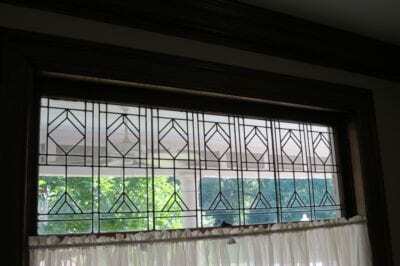 These situations usually include structural problems with the lead or steel re-enforcing bars or areas where the window needs to be re-cemented. 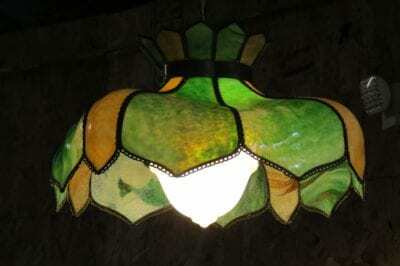 Stained glass lamp shades are a beautiful way to light up your home, church, or business. 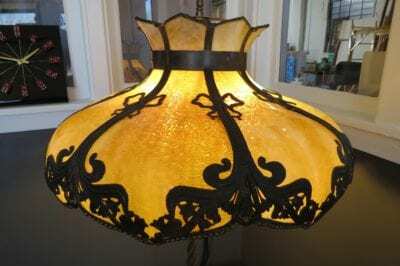 However, with wear and tear over time, these gorgeous lamp shades often need repairs. 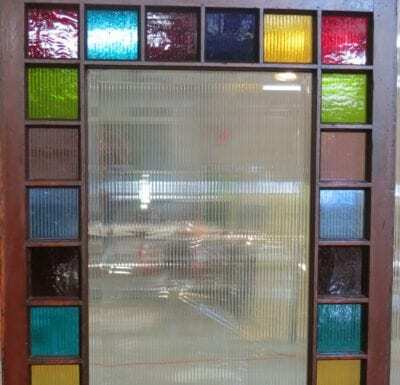 Sandblasting is a fantastic way to clean or etch surfaces by using a high-velocity abrasive. 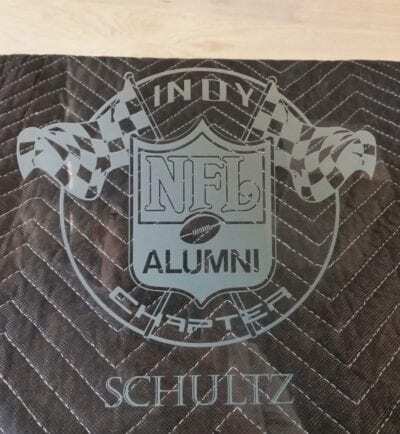 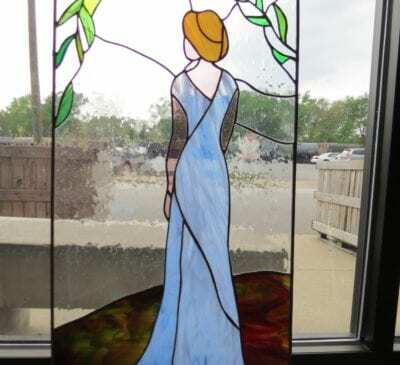 With sandblasting, we can personalize appliances and decorations with many different types of glass etching at our Lafayette Indiana art glass studio. 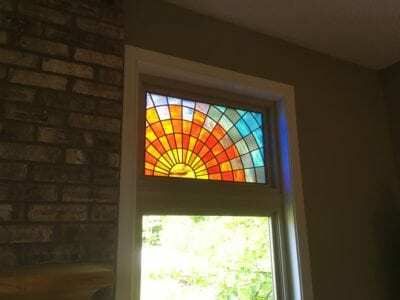 In addition to repairs and renovations, we can also create custom stained glass window designs for homes, businesses, and churches! 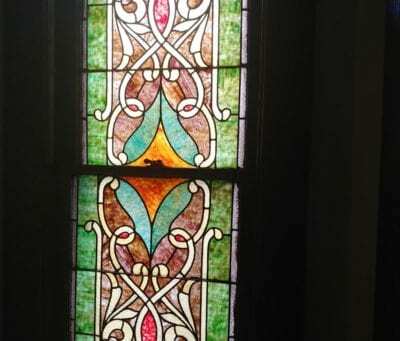 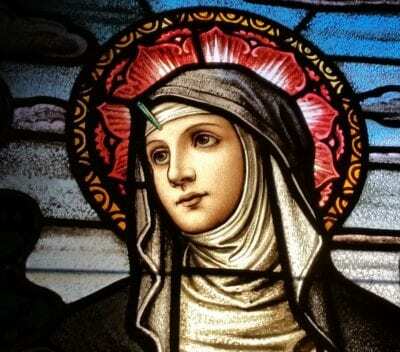 Nothing can be more devastating than losing stained glass windows during a building renovation. 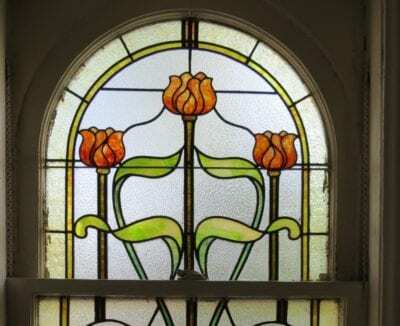 Don't lose an irreplaceable piece of history! 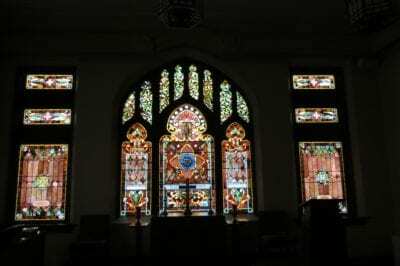 When a building is destroyed, we can help you keep a unique, memorable part of history.